R-3-5-6 for the major 6 chords. R-b3-5-6 for the minor 6 chords. 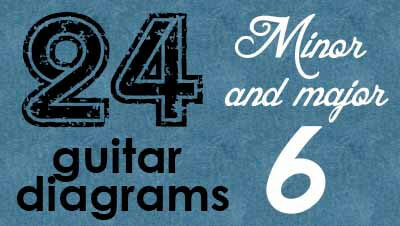 In this post you will see how to play these major 6 and minor 6 chords (root and inverted positions) using 24 guitar diagrams and voicing charts.